For homeowners, installing a new roof does more than change the look of a home; it protects their family and belongings. It does so through a series of roof components that work together to form a complete system and help increase the performance of a roof. What are the Six Components of a Roofing System? Asphalt shingles provide the principle water-shedding surface and create the unique look that sets your home apart from others on the block. Underlayment provides an added layer of protection between the wood deck and the shingles, acting as a secondary water barrier. Ice and water barriers protect the vulnerable parts of a roof− such as valleys, around chimneys and other roof protrusions− where water can flow. Starter strip products are critical for proper shingle installation, and provide the first row of sealant needed to help prevent shingle blow-offs and water penetration. Hip and ridge products complement the asphalt shingles and provide the finishing aesthetic of the roof. A balanced ventilation system allows heat and moisture to escape from the attic. It also helps eliminate ice damming and premature shingle deterioration by keeping the attic temperature closer to the outside temperature. The combination of these roofing system components provides redundancy, durability, and variety in look, style and color that is unmatched by competitive technologies. The ARMA Asphalt Roofing Ventilation Task Force acts as the voice of the roof ventilation community to identify the sound theory and scientific data supporting roof ventilation. The ARMA Asphalt Roofing Ventilation Task Force communicates state of the art developments in roof ventilation and educates roofing contractors, specifiers, builders, architects, engineers, building code officials, municipalities, the public and other parties about the benefits of proper roof ventilation. Some of the information contained on ARMA’s Ventilation web pages was developed by The Roof Assembly Ventilation Coalition (RAVC). The RAVC was a roofing industry-based coalition formed to provide a resource to advance building design through the use of ventilated attic spaces, develop accurate technical information for public and industry use, as well as to develop model code language about roof ventilation. The RAVC was dissolved in 2014 and was integrated into ARMA as the ARMA Asphalt Roofing Ventilation Task Force. 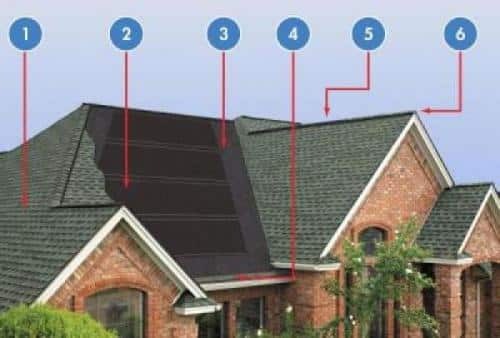 The ARMA Asphalt Roofing Ventilation Task Force is of the opinion/believes steep-slope residential attics should be vented to achieve the best performance from the asphalt-based roof assembly. Steep-slope roof assembly ventilation continues to be challenged at the code and regulatory level by organizations and individuals who are involved in the energy-efficiency industry. ARMA recommends to those considering the use of unvented, or conditioned, attics consider and understand building science and the interaction of all building elements. ARMA’s Asphalt Roofing Ventilation Task Force works to address these code and regulatory issues and acts as the voice to provide accurate scientific data needed to make an informed decision. The Roof Assembly Ventilation Coalition (RAVC) participated in the development of the 2012 International Residential Code (IRC), published by the International Code Council (ICC). The RAVC proposed language aimed at adding clarity to the code, provide for balanced intake and exhaust for ventilated attics, and help ensure that attic ventilators work as intended. This language is also included in the 2015 IRC. The code language also includes a requirement that ventilators be installed in accordance with the manufacturer’s installation instructions. With increased reliance on tested components, proper installation is just as important as proper design. Attic ventilation is a proven design method that helps the roof assembly manage moisture, heat, and enhances roof covering durability. By proposing and supporting detailed code provisions addressing the balanced approach to intake and exhaust, the ARMA Asphalt Roofing Ventilation Task Force is taking the lead role in advancing ventilated attic assemblies.